Frustrated by the fact that he could not physically fight for the Union, Horatio King looked to his oldest son to carry the views and morals that he had instilled in him to the front, which King did with great honor and success. 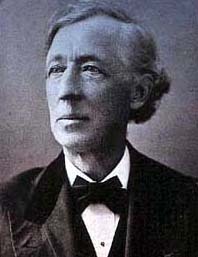 When young Horatio was born on December 22, 1837 in Portland, Maine, Horatio King and Anne Collins King could not possibly have foreseen the successful future that their son would have as a respected veteran, politician, speaker, and writer. In 1862, with the support of his family, King left his blossoming law practice and returned to his former mentor, Edwin Stanton, now Secretary of War under Lincoln, to ask for a position in a group then forming in New York for service in the Civil War. While the places for this group had all been filled, King was persistant and traveled back to Washington D.C., there securing from Stanton the position of Assistant Quartermaster of Volunteers under General Casey in the famed Army of the Potomac.10 Thus, King commenced his service with the Union Army.